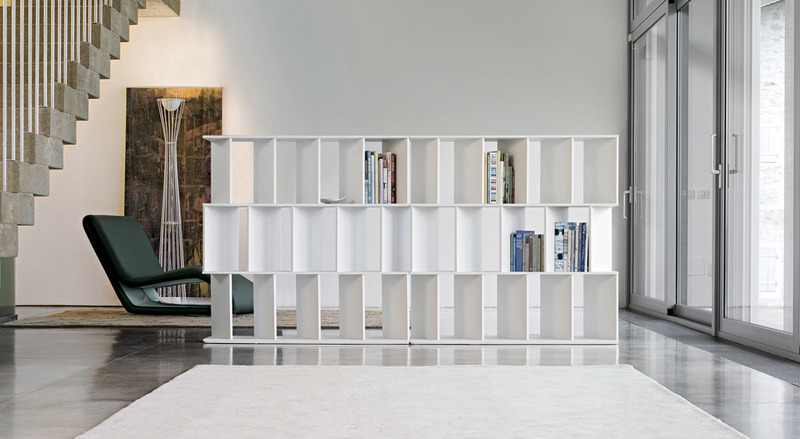 Fun | Home Studio, Inc.
Fun is a modular side-by-side bookcase which can be wall-mounted or free-standing. Its apparently irregular layout of the storage space, in an alternation of blocks and voids, creates a dynamic effect. 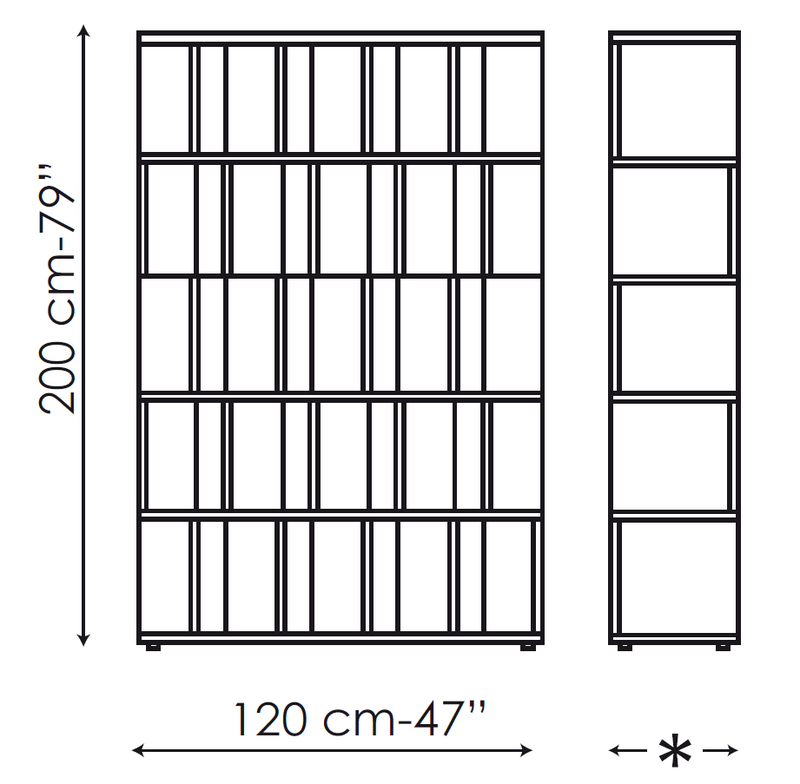 Fun is lacquered matt black or white, and it is available in several sizes, in the Fun 2 and Fun 3 variants.